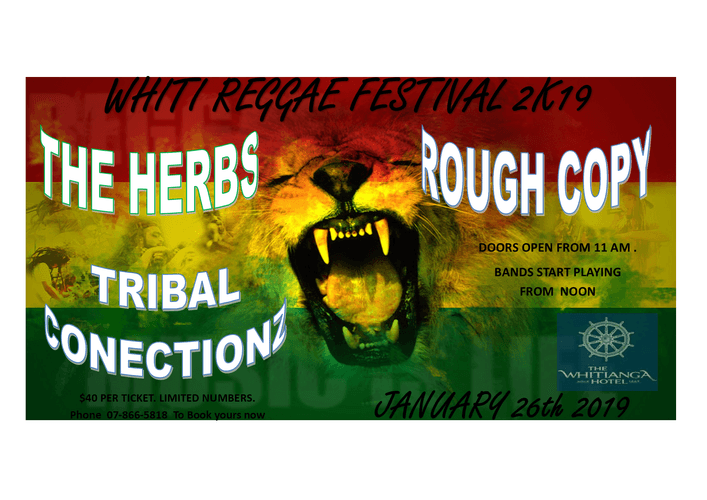 The Whitianga Hotel is extremely proud to announce it's first of many Reggae Festivals. With a line up of reggae bands such as The Herbs yes that's right The Herbs, Rough copy and Tribal Conectionz, this is going to be an event you wont want to miss. To book your tickets please call The Whitianga Hotel on 07-866-5818.